the makers of world famous Bach Stradivarius trumpets proudly bring you an exciting new trumpet model – Introducing the 190S37 Bb trumpet by Vincent Bach. In 1965, the manufacturing of Bach Stradivarius trumpets was moved from Mount Vernon New York to Elkhart Indiana marking a new era in Vincent Bach history. 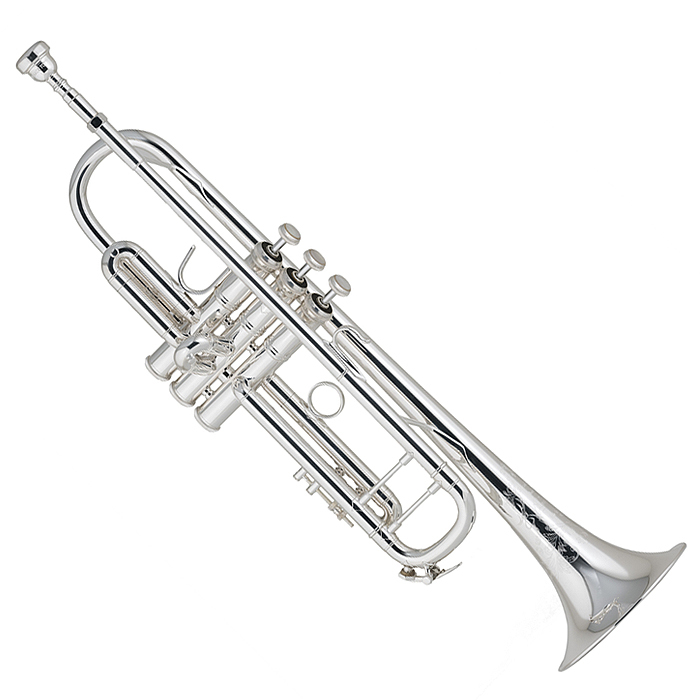 the makers of today’s Bach Stradivarius proudly introduce the Bach Stradivarius 190S37 professional Bb trumpet. and easy performance in all registers – all wrapped in the signature Bach sound! Bach Stradivarius trumpets are the number one selling professional trumpets in the world. The 190S37 features a professional #37 bell with a side-seam resulting in a rich, full sound with a large tonal core. and a steel bell wire provides a broad sound with a quick response and great feedback to the player. The silver-plate finish provides a controlled brilliance to the overall sound.